Overview: Robby Reed is a typical teenage boy growing up in Littleton, Colorado. He lives with his grandfather, affectionately referred to as Gramps, as well as their housekeeper, Miss Millie. Robby discovers an alien device that looks like a telephone dial hidden away in a cave. Taking it home, Robby begins the task of deciphering the language on the device, and determines that dial the characters that would spell our HERO. When he does, Robby finds himself transformed into an adult superhero. But with each subsequent dial of the device, he becomes a different superhero, with different powers that just happen to be what he needs to defeat the current threat of the month. Along the way, Robby’s girlfriend Suzy has need to use the device. Of course, this being the 1960s, Suzy would have to dial HEROINE in order to change into a superhero herself. One would wonder that if a alien race could develop something like this, that it would work just by dialing HERO regardless of the bearer’s gender, but we’ll table that for now. While most of the characters are one-and-done and are unique to the situation, there was one time, in House of Mystery #160 (July 1966), when Robby was changed into a recognizable hero – Plastic Man! Maybe this was done to test the waters for the return of the character, as later that year DC started a new Plastic Man series. A decade later, when the Plastic Man title was revived during the DC Explosion campaign, Robby Reed would cross paths with the actual Plastic Man, who ends up confiscating the device from our star due to irresponsible use. Why should these stories be Showcased? : There are parts of this concept that I really, really like. The variety of characters used in each story. Revisiting the concept of a kid transforming into an adult hero (i.e., Captain Marvel/Shazam). The beautiful covers that truly represents the best of the Silver Age as that era was starting to come to an end. I think my biggest complaint is just how short this collection is at 285 pages. Yes, it collects all of the stories from House of Secrets in the 1960s. Maybe DC could have included the Robby Reed appearance in Plastic Man #13 (June-July 1976). Or maybe DC starts the Chris King-Vicki Grant run from Adventure Comics in the early 1980s. 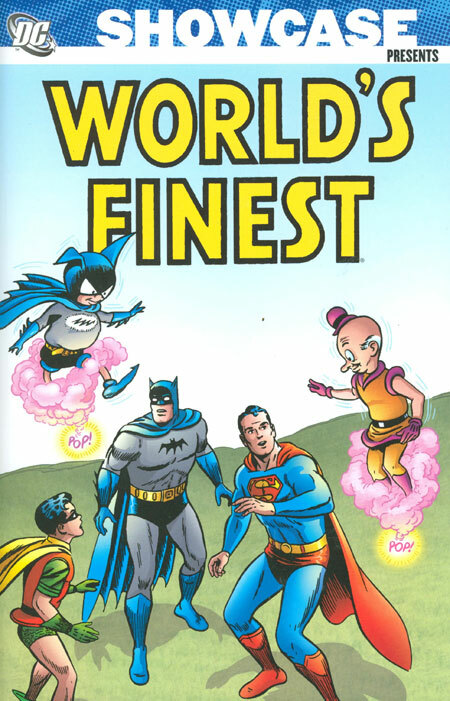 DC priced this book at $9.99, so at least we didn’t pay the standard rate for a Showcase Presents. But I think I would almost want to pay the higher price and get more stories with this concept. Footnotes: House of Secrets switched formats following issue #173. 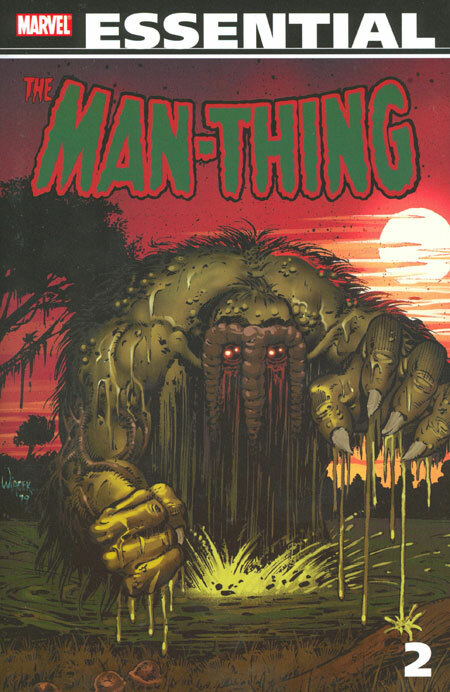 The Dial H for Hero feature (as well as the Martian Manhunter feature) were dropped, and the title became a horror anthology with issue #174. Those issues have been collected in Showcase Presents The House of Secrets Vol. 1. If you like this volume, try: the H.E.R.O. series from 2003-2004 by Will Pfeifer, Kano, Dale Eaglesham, and others. 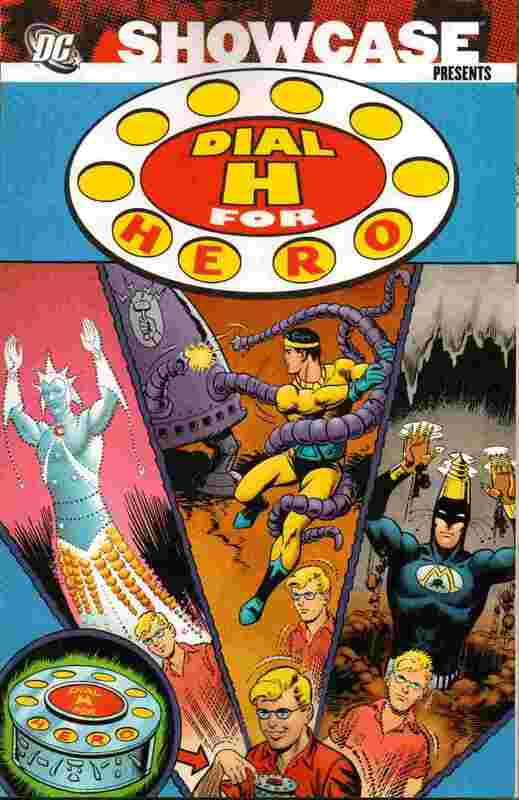 The concept of Dial H has been revisited several times over the years. In the 1980s, Dial H for Hero was revived in Adventure Comics and then later as a back-up in The New Adventures of Superboy. But with this iteration, DC allowed fans to submit character ideas to be used as the different heroes created by the dial. But this concept never had it’s own title until the H.E.R.O. series started up. But this title took a different spin, as the dial, now referred to as the H-Device, is passed around from stranger to stranger, and each person had a less-than-desirable experience, which would encourage them to get rid of the device. While this is going on, a grown up Robby Reed is on the hunt trying to find his old device, maybe in hopes of regaining the glory of his youth. The series ran for 22 issues, and the first six were collected in a 2003 trade paperback. But I think many of these issues can be found in the .50 cent bins at conventions and local stores. Go on the hunt and see if you can find all 22 issues – or your own H-Device! Overview: With the last volume, I criticized Marvel for ending that book in the middle of the Doctor Octopus-Owl gang war. As disappointing as it was to finish Volume 3 that way, it also means that this volume starts off right in the middle of the action. So let’s get into the stories! In case you are unfamiliar with this title, Peter Parker, the Spectacular Spider-Man (PPTSS) is part of the ongoing story-arc of Spider-Man in the Marvel Universe. 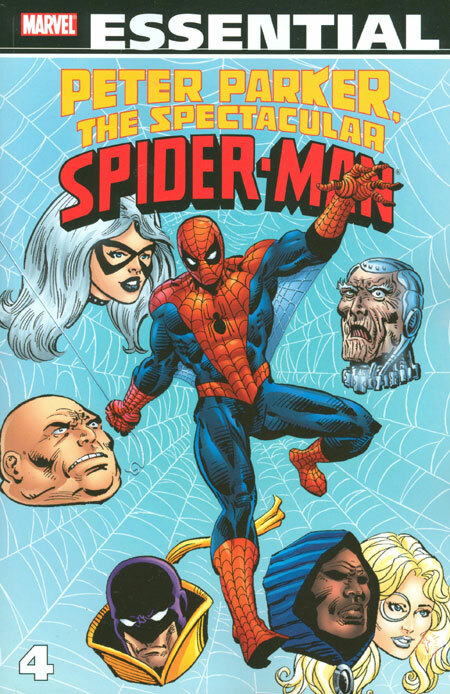 Each of the various books from this era had a set of characters they would use, with Peter, MJ, and Black Cat being in the center of the Spider-Man Venn diagram. As mentioned earlier, we start off in the middle of the gang war between the Owl and Doctor Octopus, both underrated villains in my humble opinion. While both are taken out, you know they will both be back again to cause trouble for Spider-Man. I love that this book gets to feature multiple return appearances by Cloak & Dagger, the drug-triggered mutants who made their debut in the last volume. While Cloak and Dagger remain focused on ridding New York City of the drug traffic, their methods often put themselves at odds with our title hero. Another anti-hero crosses through this title is the Punisher, who is finally brought to trial for his many incidents. The Punisher is sentenced to prison, which led to his own mini-series, followed quickly by his ongoing series. As with the Amazing Spider-Man book in this era, we see the Kingpin pulling a lot of strings in the background, with the Rose and the Answer being in the forefront. Kingpin still remains a thorn in the side of Spider-Man on many levels, in particular when the Kingpin aids the Black Cat in giving her powers to allow her to be equal to Spider-Man during their adventures. The Black Cat gets a “bad luck” aura about her, causing bad things to happen to people around her trying to threaten her. The final issues in this collection feature the return of Spider-Man in his black costume following his adventures on Battleworld. The costume is slick and new and alive, although he won’t find out about the “alive” bit for a few months. What makes this Essential? : I really like the direction that PPTSS took during this era. It finally feels like the book is now the equal to Amazing Spider-Man and not just a secondary book on the stands. The Marvel Bullpen more evenly coordinated storylines between the books, along with Marvel Team-Up, to create a near-seamless story arc for Peter Parker, yet each title could be read on its own. Creators Bill Mantlo and Al Milgrom had a great run in this era that doesn’t get enough recognition. I think it worth the pick-up, if for no other reason than to revisit the Black Costume storyline post-Secret Wars, which the Essential Spider-Man and Essential Marvel Team-Up series never reached. Footnotes: Peter Parker, the Spectacular Spider-Man #81, #82, and #83 were also reprinted in Essential Punisher Vol. 1. If you like this volume, try: The Nearly Complete Essential Hembeck Archives Omnibus collection from 2008. While there are many interesting storylines in this volume, the highlight of this Essential was Peter Parker, the Spectacular Spider-Man #86, featuring art by Fred Hembeck. This issue was part of the Assistant Editor’s Month – while the editors went to San Diego Comic Con, the assistant editors were left in charge for a month and hi-jinx ensued. We got the Avengers appearing on David Letterman; Aunt May and Franklin Richards teaming-up to stop Galactus; and Steve Rogers’ girlfriend Bernie Rosenthol becoming a new super-hero. With this issue of Peter Parker, the story remained true, but Hembeck was brought in to do the art in his very distinctive art-style. Hembeck has been a long-time fixture in the comic scene, offering a humorous look at Marvel and DC characters. In the 1970s, he contributed a comic strip to the Daily Planet pages at DC. 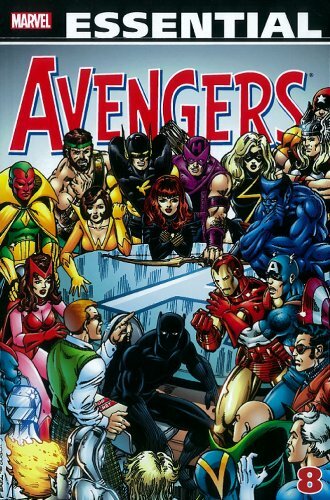 In the 1980s, he was a regular contributor to the Marvel Age comic. In 2008, Image Comics put out this trade paperback collection of Hembeck’s fanzine and self-published work. It’s 900 over-sized pages, printed in black and white with the same paper quality of the Essentials, collecting most of Hembeck’s work to that date. With a MSRP of $24.99, it’s an incredible bargain. Give this book a read, and check out Hembeck’s eBay store to get an original sketch. Overview: Forget her status as a secret weapon, Supergirl is introduced to Earth as it’s newest protector from Krypton. Working with Superman, she helps patrol the planet during all of the numerous times that Superman is called off into space; called into the future to assist the Legion of Super-Heroes; or called back into the past for whatever reason. 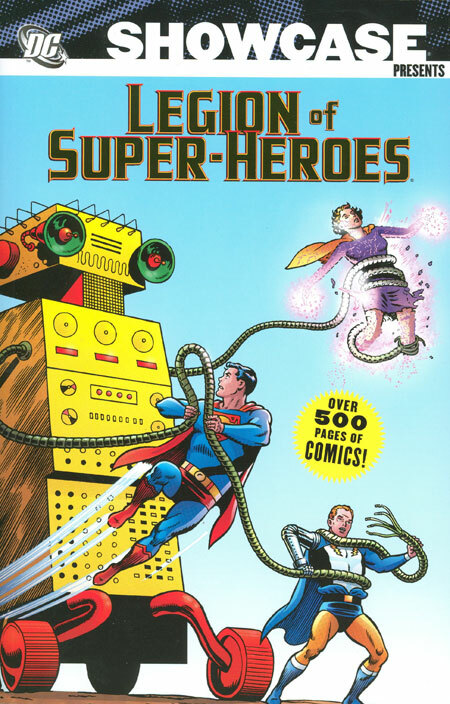 1960s Superman comics – nothing else like it! Another set of stories deals with Supergirl’s parents, Zor-El and Alura. We all thought they had perished in Argo when the kryptonite radiation killed off the residents of the floating city in space. Turns out, they managed to exile themselves into the Survival Zone, which is very similar to the Phantom Zone, just without the criminals. Supergirl finds a way to rescue her parents, but now faces a dilemma of having two sets of parents. What is a girl to do? The first thought is to have her birth parents move to the bottled city of Kandor, and live with their fellow Kryptonians. However, Alura’s health starts to fail, as she is suffering from heartbreak over her missing daughter. So, to heal her birth mom, Supergirl convinces her step-parents, Fred and Edna Danvers, to trade places with her real parents, and the three Kryptonians become a super-team family. But then Edna is exposed to an evil spore and attacks Supergirl. Realizing that Kandor is not the best home for them, once again the Danvers exchange places with Supergirl’s parents. 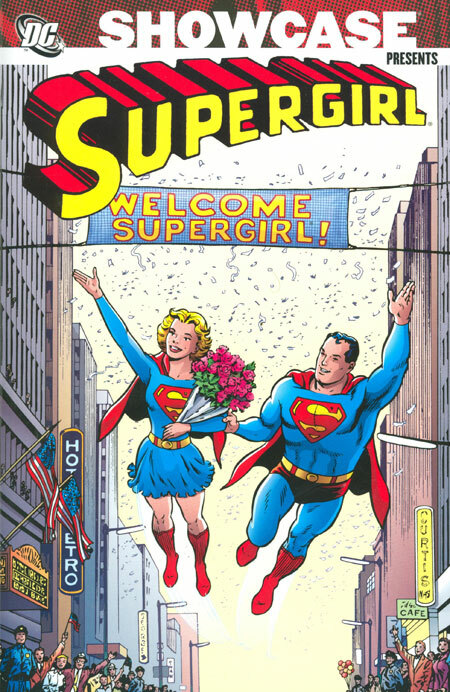 The volume concludes with Supergirl graduating high school and enrolling in Stanhope College. Unfortunately, some of Supergirl’s sorority sisters are a little catty, and Linda must find ways to outwit them to protect her identity. Why should these stories be Showcased? : Oh boy, where to start…. I gave Volume 1 a lot of praise for telling positive female stories, especially with it being a DC Silver Age collection. This volume falls short on all marks. The various story arcs might have worked better in a romance comic, but these stories are all from Action Comics, the home of Superman and his family. We finally see Supergirl revealed to the world, and then her storylines dive down into mediocrity. Ugh! I know this book is a product of its time, but it has a hard time holding up 50 years later. Footnotes: Action Comics #285 is also reprinted in Showcase Presents Superman Vol. 3. The “Superman’s Super-Courtship!” story from Action Comics #289 is also reprinted in Showcase Presents Legion of Super-Heroes Vol. 1. The “Monster From Krypton!” story from Action Comics #303 is also reprinted in Showcase Presents Superman Vol. 4. If you like this volume, try: the 2009 Power Girl series, initially done by Justin Gray, Jimmy Palmiotti, and Amanda Conner. 2009. Power Girl was introduced in All-Star Comics #58 as the Earth-2 version of Supergirl – see Showcase Presents All-Star Comics Vol. 1 for Power Girl’s debut. Over the years, she served as a member of the Justice Society, Infinity, Inc, and even Justice League Europe. It was probably easier to use her in a story rather than Supergirl, as the big red S shield on Supergirl’s costume carries a lot of baggage with it. The one downside to Power Girl is her longevity; her origin has been changed multiple times due to one crisis or another. She became a hard character to work with, given all of the changes to her back story. Flash forward to 2009, and Power Girl earned her own monthly comic. This is one of the best runs using the Power Girl character, focusing more on the present rather than reliving the past. Most of this series has been collected in trade paperbacks, so give this a look.